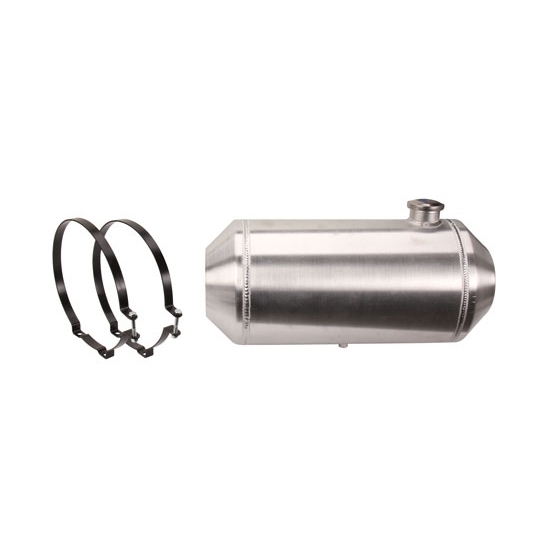 These spun aluminum tanks have an unpolished, spun aluminum finish, 2-1/4" neck, and a 1/4" NPT female outlet. For all off-road vehicles. The screw-on vented cap and brackets are included and can be found in a false bottom of the packaging box.